It Was Her is out now! ‘Twenty years ago, Tatia was adopted into a well-off home where she seemed happy, settled. Then the youngest boy in the family dies in an accident – and she gets the blame. Tatia is cast out, away from her remaining adopted siblings Joel and Poppy. Now she yearns for a home to call her own. So when she see families going on holiday, leaving their beautiful homes empty, there seems no harm in living their lives while they are gone. I’m hugely excited about this new book and I really want to know what you think, so if you’re planning on reading it – of course you are! – please do read a review on Amazon or Goodreads. It really does help to introduce the book to new readers and, of course, it helps me make the next one even better! It Was Her is available from Amazon, iTunes, Google Play and Kobo. This entry was posted in Crime News, DI Ray Drake, It Was Her, markhillauthor.com, New Book Releases, Uncategorized on May 19, 2018 by Crime Thriller Fella. ‘His First Lie’ Is Out Now! My acclaimed crime debut Two O’Clock Boy has been relaunched today – March 1st – with a new title, His First Lie, and a startling new cover, courtesy of my lovely publishers Sphere. And for a short while the ebook is on sale at only 99p. If you’ve stumbled across this post in 2027, I’m afraid that offer has almost certainly expired. I’m thrilled about this relaunch, and the bonus is that at the end of the ebook you’ll get a tantalising taste of the next book in the Drake series, called It Was Her, which comes out in May. The ebook for that is only £1.99 in the run-up to launch, so I strongly suggest that you take advantage of that offer, too. This entry was posted in Authors, Crime News, DI Ray Drake, His First Lie, It Was Her, Mark Hill Author, markhillauthor.com and tagged DI Ray Drake, His First Lie, It Was Her, Mark Hill on March 1, 2018 by Crime Thriller Fella. This entry was posted in Authors, Crime News, Mark Hill Author on January 27, 2018 by Crime Thriller Fella. CrimeFest kicks off next week in Bristol, but this Saturday the city’s libraries will be giving away tons of free – yes, free – crime novels, including some by old friends of this blog, including Catherine Ryan Howard, GJ Minett and Robert Olen Butler. As part of CrimeFest’s passion for promoting crime fiction, the UK’s biggest crime fiction convention has teamed up with publishers, including Headline and Orion, authors and Bristol Libraries to give away 1000 crime novels for free on Saturday, 14 May, one week ahead of the crime fiction festival. The organisers are donating to Bristol, a city that has hosted the UK’s biggest crime fiction convention for eight years. Thirteen publishers have generously donated books from over twenty authors to this crime fiction giveaway being hosted at six libraries around Bristol. Bristol locals will be treated to advanced reader copies from bestselling authors like Megan Abbott – months before they hit the shops, as well as titles from highly acclaimed debut novelists Michelle Kirkby and BBC screenwriter Simon Booker. In addition, Allison & Busby are providing several classic titles from celebrated crime fiction writer Alexander Wilson. Peter James, Anne Holt, Ian Rankin and Hugh Fraser are among the top names set to speak at this year’s CrimeFest convention. Close to 500 attendees, including more than 150 authors, agents, publishers and crime fiction fans from across the globe, will descend on the city for a jam packed four days of 65 speaking events and panel discussions. This entry was posted in Crime News and tagged Crimefest on May 12, 2016 by Crime Thriller Fella. Following tense discussions with the other Fellas on the Board, I’ve been given permission to devote a whole post solely about a matter of grave importance. Big Vin took me aside after the Board Meeting and muttered darkly that I shouldn’t make a habit of it. Big Vin is as wide as he is tall, with a temperament that even his former colleagues in the Mexican Death Squads considered questionable, and is not a man to be crossed. I was quick to assure him that I would be succinct. But speak about me, I shall. After all, it’s why we’re all here. It’s why I’m here, at least – you may have other reasons. All those fantastic reviews, all those great Intel interviews, all that filler stuff about telly and movies, it’s all been leading to this point in time, to this post. Because the fact is, it looks like I’ve got me a book deal. I can announce that I’m going to be published – we’re talking Autumn, 2016 – at Sphere. I mean, christ, Sphere, the imprint of Little, Brown. It’s been announced in The Bookseller, so it must be true, right? I remember many, many years ago when I was a nipper, curled up on the sofa, devouring in one sitting the novelization of The Empire Strikes Back, which was published even before the film – or, at least, before I got to see it. That was a Sphere book. I never forgot that, and now I know why. This is all wildly exciting – for me. Perhaps for you… not so much. But I appreciate your politely asking what genre it is. It’s a crime novel. And I can assure you, if you’re worried, that there are very few jokes in it. No funny ones, certainly. The prose, like my gums, is raw and slippery. So that leaves us with a few decisions to make. You may have noticed that the number of posts on this site has declined over the last two or three weeks, and that will continue for the time being. I’d very much like to continue doing the odd intel interview and suchlike, but I need to think very carefully about what to do next here. I could always pimp my book with a merciless machine-like efficiency, but we’d both get a bit bored of that pretty quickly. However, it’s true to say I like what we’ve done with the place, me and you together, and I’m not willing to let it go without a fight. So let’s take a big breath, let’s practice our yoga mudras, and we’ll meet back here very soon. Oh, and here’s that announcement in The Bookseller. I’ve got my own tag and everything. This entry was posted in Authors, Crime News and tagged Ed Wood, Little Brown, Mark Hill, Sphere, The Bookseller, The Two O'Clock Boy on June 22, 2015 by Crime Thriller Fella. The Specsavers Crime Thriller Awards is on tonight. The culmination of six weeks or so of Crime Thriller Club, it’s hosted by our old friend Bradley Walsh. Because I think it’s fair to say we really don’t get to see enough of Bradley on the telly. Among the awards up for grabs at the glamorous Grosvenor House Hotel are Daggers for the Best UK and International Crime Series, Best Actor, Best Actress, and Best Film, alongside prestigious Crime Writers’ Association awards, including Gold Dagger for the Best Crime Novel of the Year, and the New Blood Dagger for the Best First Novel. Nominees for awards this year include Benedict Cumberbatch for BBC One’s Sherlock along with Matthew McConaughey for HBO’s True Detective in Best Actor. Brenda Blethyn for ITV’s Vera alongside Maggie Gyllenhaal for BBC Two’s The Honourable Woman and Anna Maxwell Martin for ITV’s The Bletchley Circle and BBC One’s Death Comes to Pemberley in Best Actress. Filth, Cold In July and Dom Hemingway compete for the Film Dagger. The Bletchley Circle, Line of Duty and Happy Valley for the TV Dagger. Fargo and The Bridge for the International TV Dagger. And authors including Paul Mendelson, Robert Harris, Louise Penny, Greg Iles, A.S.A Harris and Ray Celestin for CWA Daggers. The Awards are on from 9pm to 10.35pm on ITV3. 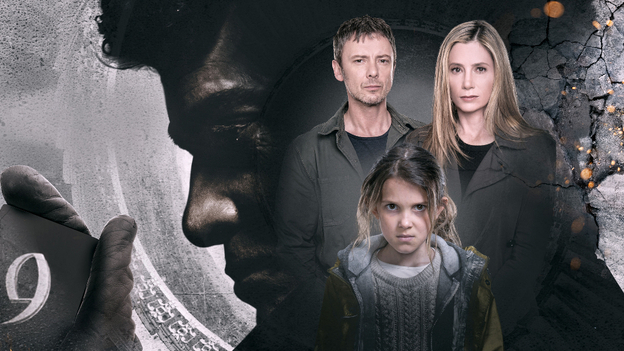 However, if you need your fix of drama, there’s an intriguing new series called Intruders on BBC2 on at the same time. It’s produced by BBC America – and, I think, already recommissioned – and penned by X Files alumni Glen Morgan, based on Michael Marshall Smith’s novel of the same name. Jack Whelan, a former LAPD cop with a troubled and violent history, finds the quiet, idyllic life he has crafted with his wife Amy, shattered when she vanishes. Mysteries unfold when Amy vanishes on a business trip to Seattle and her cell phone is found abandoned in a taxi. Jack heads to Seattle to retrieve the phone and Amy, only to discover that she never checked in to her hotel. Meanwhile, Jack’s high school friend Gary begs for his help. Nine year-old Madison starts having nightmares and behaving erratically after she sees a stranger on the beach. Assassin Richard needs to stop a secret from leaking out, and will do so by any means possible. The first two episodes, showing back-to-back from 9pm tonight, may be worth watching for the unlikely sight of John Simm playing a troubled LA cop. But if you like your thrillers with a sci-fi tinge, and can bear to be without your nightly dose of Bradley, it could be worth 90 minutes of your time. 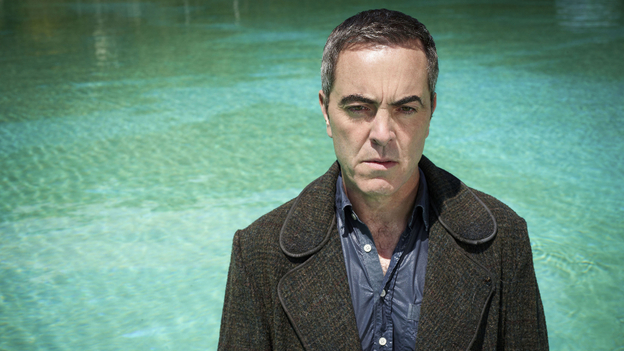 The Missing is a straight-down-the-middle crime thriller, in which James Nesbitt stars as a father obsessed with finding his abducted son. Tony and Emily Hughes’ life changes forever when their five year-old son Oliver goes missing on a family holiday to France. A huge manhunt led by Julien Baptiste, one of France’s finest detectives, is launched. The French police face an uphill struggle in their mission to find the young boy – Oliver seems to have disappeared into thin air. Tony and Emily are in a foreign land, they do not speak the language and do not understand the rules. As their desperation and profile of the case grows, Tony and Emily find themselves thrown into a media maelstrom, learning the hard way that not everyone they meet is willing to operate in their best interests. Present day. Eight years on from Oliver’s disappearance and the fallout has resulted in the end of Tony and Emily’s marriage. Tony refuses to believe that Oliver is dead and doggedly continues his search to find his son. After years of searching, Tony is given new hope when a shred of evidence emerges. This reignites the interest of Julien Baptiste, the lead French detective at the time of the disappearance, who returns to Chalons Du Bois to try and finally get to the bottom of what happened to Oliver Hughes. So the first of eight episodes — eight? — of The Missing starts on BBC1 tomorrow night at 9pm. This entry was posted in Crime News, Television and tagged Glen Morgan, Intruders, Michael Marshall Smith, Specsavers Crime Thriller Awards 2014, The Missing, X Files on October 27, 2014 by Crime Thriller Fella. Both winners scoop the acclaimed prizes for their first crime novels, with Derek B. Miller winning two of the three awards for his genre-defying hit novel Norwegian by Night. The ceremony took place at the Bristol Royal Marriott Hotel to mark the climax of a convention that saw nearly 500 crime fiction fans and authors come together to enjoy an extensive programme of panel discussions, signings and events. Highlights of this year’s convention included guest author appearances from Mark Billingham, Yrsa Sigurdardottir and Simon Brett as well as panels featuring the likes of Ben Aaronovitch, Jasper Fforde, Nicci French, Lars Kepler and Peter James. The Audible Sounds of Crime Award is for the best crime audiobook first published in the UK in 2013 in both printed and audio formats, and available for download from audible.co.uk, Britain’s largest provider of downloadable audiobooks. Courtesy of sponsor Audible UK, the winning author and audiobook reader share the £1,000 prize equally and each receives a Bristol Blue Glass commemorative award. Eligible titles were submitted by publishers for the longlist, and Audible UK listeners established the shortlist and the winning title. The eDunnit Award is for the best crime fiction ebook first published in both hardcopy and in electronic format in the British Isles in 2013. The winning author receives £500 and a Bristol Blue Glass commemorative award. Eligible titles were submitted by publishers for the longlist, and a team of British crime fiction reviewers voted to establish the shortlist and the winning title. The Goldsboro Last Laugh Award is for the best humorous crime novel first published in the British Isles in 2013. The £500 prize is sponsored by Goldsboro Books, the UK’s largest specialist in first edition, signed books. The winner also receives a Bristol Blue Glass commemorative award. This entry was posted in Crime News, Events and tagged Crimefest Awards on May 18, 2014 by Crime Thriller Fella.